There are now about 2,000 known exoplanets in our galaxy. The majority of these worlds are large planets close to their star, known as hot Jupiters, though we have discovered planets that are Earth-like in the sense that they are of roughly similar mass. A garden world similar to Earth has yet to be found. These exoplanets are not directly observed, but rather are found by indirect means. Often they are found through the transit method, where a star is seen to dim slightly as a planet passes in front of it. 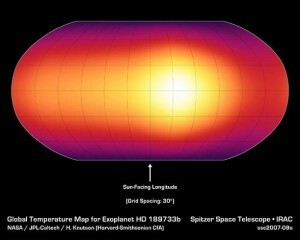 We can determine a planet’s size and orbit from this method, but other properties such as its surface temperature or atmosphere can only be inferred. That may change with a newly discovered planet known as GJ 1132b. The planet is only about 20% larger than Earth, and only 1.6 times Earth’s mass. That means it could be a rocky world like Earth. GJ 1132b isn’t Earth-like in any other way. It’s parent star is a small red dwarf, and it orbits the star so closely that its “year” is less than two days long. 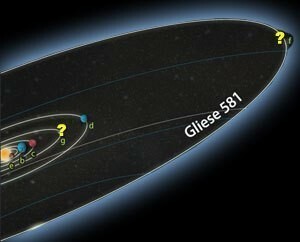 But what makes it interesting is that GJ 1132b is only about 39 light years away, which is remarkably close for an exoplanet. Some starlight is absorbed by the planet’s atmosphere during transit. 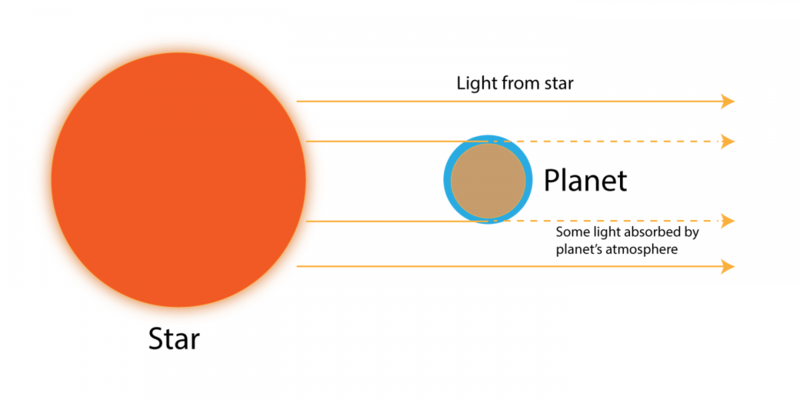 This proximity, combined with the fact that the parent star is relatively small, means that we might be able to detect the planet’s atmosphere. Though we can’t observe GJ 1132b directly, we can study how the starlight is affected when the planet transits the star. While most of the planet simply blocks light, its atmosphere would only block certain wavelengths of light, just as our own atmosphere does. By observing which wavelengths are absorbed we can determine the composition of the planet’s atmosphere. We’ve done this before with large, Jupiter-like exoplanets, but Earth-mass planets are much smaller, and their atmospheres thinner, so the effects of absorption get washed out by the starlight. But GJ 1132b is close enough that we might be able to observe the absorption effects of its atmosphere with ground-based telescopes. 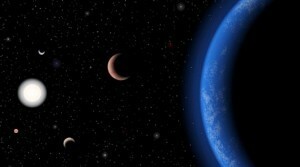 If that’s the case, it will be our first opportunity to study the atmosphere of another Earth-like world. Do you think that by sharing your posts with the community called Thinkers I’m (inadvertently) contributing to the spammy comments you receive? If so I’ll stop sharing. No, this is Google’s doing. They could take some simple steps to prevent spam, but they haven’t done it. I think it’s mainly just the shift to collections, which detaches the writer from readers.